More than 300 young people from across the state gathered at the 2017 Young Leaders Conference held Feb. 24 and 25 at the Drury Plaza Hotel in Franklin. The annual conference brings couples and individuals together from rural communities to learn about cooperatives, share their views about agriculture and discuss current issues facing rural Americans. The agenda is targeted to rural Tennesseans 50 years old or younger. 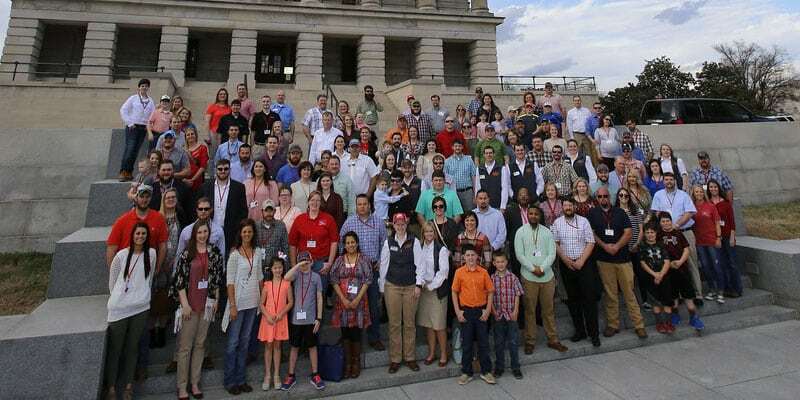 The Tennessee Council of Cooperatives (TCC) co-sponsors the annual conference with Tennessee Farm Bureau Federation’s Young Farmers and Ranchers organization. This year’s event began with a guided tour of the State Capitol. Breakout sessions covered a variety of subjects aimed at educating leaders about cooperatives and agricultural issues and strengthening their leadership skills. During “Getting Started” by Peyton Fair with Farm Credit Mid-America, attendees learned how to better analyze their farm finances. The Tennessee Department of Agriculture’s Corinne Gould led a session on “Speaking Up,” and Alice Rhea of Farmers Services discussed “Keeping it Real.” House Speaker Beth Harwell gave the keynote address, and humorist and motivational speaker Lisa Smartt provided entertainment.